The Brown Gulpar Special is one of a series of useful emerger style dry flies. 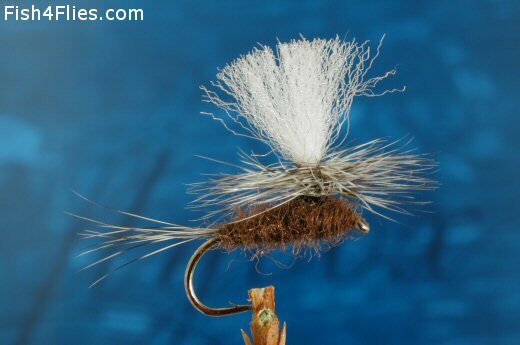 It has parachute hackles for flotation, and white wings for visibility and are very good on stillwaters when the trout are cruising near the surface and feeding on speckle wing duns. Tail : Natural grizzle hackle fibres. Body : Dark brown rabbit or poly dubbing. Wing : White poly yarn. Currently there are no comments about the Brown Gulpar Special fly pattern from other fly fishermen yet.